Laser facial hair removal represents an effective and accessible alternative to the constant struggle of dealing with unwanted facial hair. Millions of men and women across London and the rest of the UK allow their confidence and quality of life to be affected by problematic hair. In most instances, unaware of the effectiveness and affordability of the latest laser facial hair removal treatments. Since going into business, HSA Dermal Clinic has built an established reputation across London and Surrey, consistently exceeding customers’ expectations and maximising value for money. If looking for a fast and effective permanent solution for unwanted facial hair, we’re standing by to take your call. Advanced laser facial hair removal technology targets the follicles themselves, completely eliminating the prospect of hair regrowth. Upon completion of the treatment, the follicles are destroyed or disabled by the highly-targeted lasers, removing existing hair and ensuring it can never grow back. Proudly offering the latest cutting-edge laser hair removal treatments for men and women across London and the surrounding region, we know what it takes to combine impressive results with unbeatable value for money. Contact a member of the HSA Dermal Clinic team today to book your obligation-free consultation. Safe, effective and affordable permanent hair removal in London and Surrey, performed by the region’s leading team of experts. HSA Dermal Clinic is proud to offer a comprehensive catalogue of permanent hair removal treatments for men and women alike, addressing problematic facial and body hair with the world’s most advanced technologies. New-generation laser hair removal systems have the capacity to quickly and permanently eliminate hair from the face and all other areas of the body, without excessive discomfort and with absolutely no downtime. Precision lasers achieve permanent hair removal by effectively disabling or destroying the follicles below the surface of the skin, making it impossible for the hair to grow back. For the sake of both convenience and to enhance personal appearance, more men and women across London and Surrey than ever before are considering permanent hair removal. Given the extraordinary advances in facial hair removal technologies over recent years, there’s never been a better time to explore the available options. We’d be delighted to provide you with an obligation-free consultation to discuss all aspects of permanent hair removal and the various treatments available. 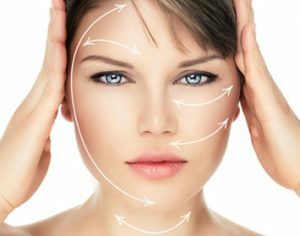 Contact a member of the HSA Dermal Clinic team today, or visit us at our Richmond upon Thames clinic anytime. Eliminate problematic facial hair permanently, with our cutting-edge upper lip hair removal treatments. HSA Dermal Clinic is proud to offer the most advanced upper lip hair removal technologies and treatments in London and Surrey, delivering instantaneous and permanent results for men and women alike. Our commitment to the latest technological advancements enables us to carry out permanent facial hair removal in the fastest, safest and most cost-effective manner. Our state-of-the-art laser hair removal procedures tackle the problem at the source, destroying or disabling the follicles beneath the skin and preventing the hair from re-growing. The use of targeted lasers ensures that the surrounding tissues are left unaffected, minimising discomfort and eliminating downtime from the equation. Whatever your requirements and expectations, we’d be delighted to provide you with an obligation-free consultation to discuss the available options. We provide the most extensive range of upper lip hair removal treatments in London and Surrey, using a number of advanced technologies, suitable for the vast majority of skin types. For more information on any of our permanent hair removal services or to discuss your requirements in more detail, contact a member of the HSA Dermal Clinic team today.